This 11,050 Watts DC grid-tied photovoltaic (PV) solar electric system includes a 25-year manufacturer warranty. We provided a 5-year warranty on workmanship. The net-metering value of the estimated 25-year system generation is $54,000. 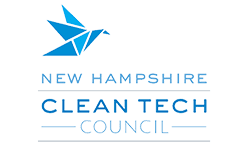 The church, with assistance from Norwich Solar Technologies, was able to secure a grant from Green Mountain Power to cover a significant portion of the system’s cost. A web-based monitoring system and flatscreen kiosk display were installed in the church to highlight production and environmental offsets to the congregation and community. Norwich Solar Technologies provided turnkey services for the project including Engineering, Procurement, and Construction. We installed the rooftop system quickly and efficiently with our EZ-PV MetaModule system to avoid disrupting the operation of the church or inconveniencing the citizens of the town as this is a centrally located structure on the town green. In addition to monthly savings on power costs, estimated CO2 equivalent avoided over 25-years of system operation is: 320,131 lbs. of CO2, 62.6 tons of coal, 337.7 barrels of oil, or 16,279 gallons of gasoline.